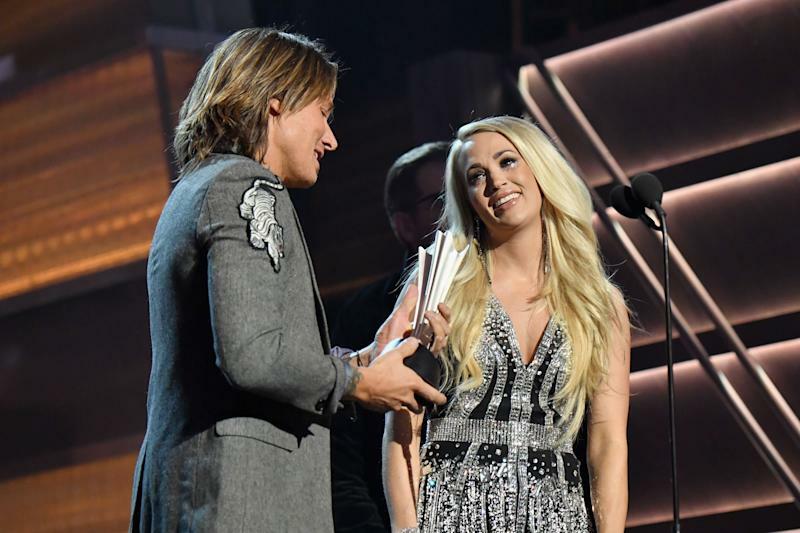 Keith Urban and Carrie Underwood accept the vocal event of the year award at the Academy of Country Music Awards. An emotional Underwood said she was “still shaky” ― and who could blame her? The evening marked the country giant’s first public performance since she broke her wrist and injured her face in a November fall outside her home. Underwood didn’t reveal her facial injuries until January, telling fans that she was“not quite looking the same” and wasn’t sure whether she would fully recover from wounds that required 40 to 50 stitches. The“Before He Cheats”singershared photos thatdidn’t fully show her visage, deepening the mystery around the extent of her injuries. But when Underwood took the stage Sunday in Las Vegas, much of the speculation seemed to fade. Country music was just happy to see her killing it on stage again. Just check out the ovation. Underwood notified followers last week that she “had been healing pretty nicely.” But some fans wondered why she kept calling attention to her face, because she looked like the same ol’ Carrie.